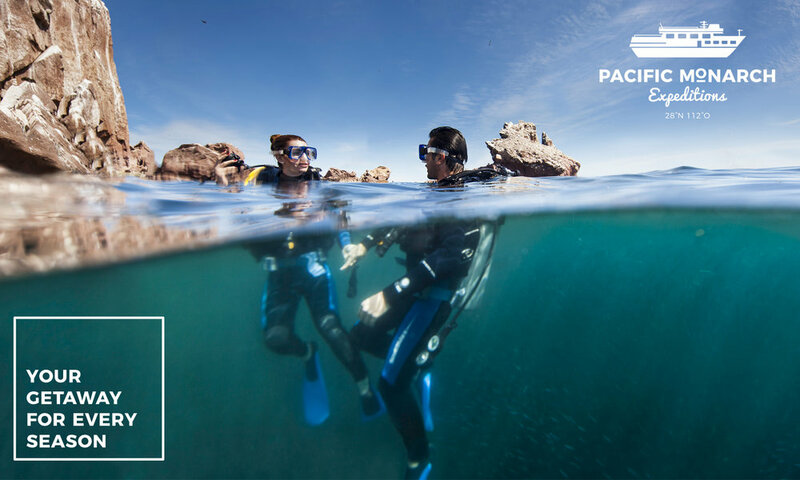 Pacific Monarch Expeditions is dedicated to offering unique expedition charter experiences aboard the PACIFIC MONARCH in La Paz and the Cortes Sea. We create fun, sustainable and dynamic expedition itineraries, excellent on board service, comfortable cabins, exquisite menus with local products. Enjoy days of stunning landscapes, the sights and sounds of marine wildlife, walking in pristine environments, gazing at the sea life as you kayak and snorkel around protected island habitats, being with yourself and the surrounding beauty, having a life time experience. These are the fundamentals we strive for on every journey. Cruceros de Aventura Monarca del Pacífico S.A. de C.V.